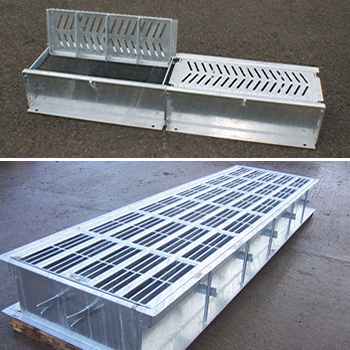 We manufacture a range of quick-fit and drop-in style cattle and deer grids to suit a variety of applications, all made to BS4008:2006. 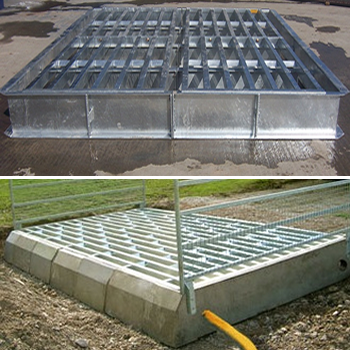 We also manufacture a range of drainage products suitable for handling problem surface water. All our products are fully galvanised and hedgehog friendly as standard. They are low maintenance, cost effective and quick to install. Our range of drainage products are specially designed to keep run-off from farm and forestry tracks, industrial sites and residential driveways. As part of our range we have drains to deal with debris which may otherwise block smaller channels as well as drains which need to be pedestrian and animal friendly. All our drains have full hgv loadings and therefore there is no need to worry about them not being up to the job. > Which Grid / Grating?